Golf has only been played at the Olympics on two occasions: 1900 in Paris, France and the 1904 Summer Olympics in St. Louis, Missouri. 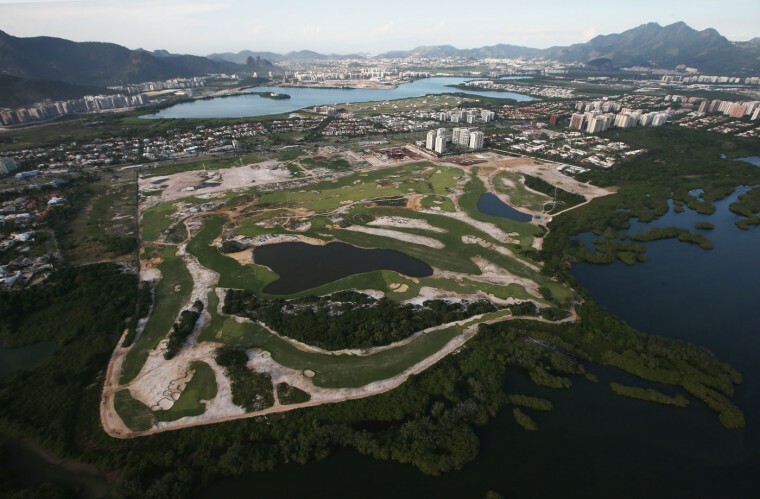 After an absence of 106 years, golf will once again be an Olympic sport this summer at the 2016 Olympics in Brazil. Who is the defending champion? Well its Canada of course. The individual gold medal at the 1904 Olympics was won by George Seymour Lyon of Canada. Lyon, (July 17,1858 – May 11th 1938) was born in Richmond Ontario. Lyon, a cricket batsman did not take up golf until 1896, at the age of 38. Eight years later he won Olympic Gold. Just in case you might think his Olympic Gold win was a fluke, Lyon won the Canadian Amateur Championship eight times between 1898 and 1914. He also won the Canadian Senior Golf Championship a total of 10 times between 1918 and 1930. In 1908 Lyon went to London England to defend his Olympic Gold title but golf was removed from the Olympics because of a dispute between English and Scottish representatives over the format of play (Lyon won the title in St. Louis at match play). Lyon was posthumously inducted into the Canadian Sports Hall of Fame (1955) and the Canadian Golf Hall of Fame(1971. The field for the Olympics is restricted to 60 players in both the men’s and ladies divisions. Eligibility will be determined by the World Golf Rankings. The top 15 players on the world rankings are eligible to play, the only restriction being that no country can have more than four players. Apart from the top 15 players in the Wold Rankings, each country that does not already have two or more players in the top 15 can send two eligible players. In the case of Canada those two players based on the rankings as they stand today would be Dave Hearn (ranking 38th) and Graham DeLaet (41). Based on the current standings on the women’s side, Canada will be represented by Brook Henderson (9) and Alena Sharp (38).